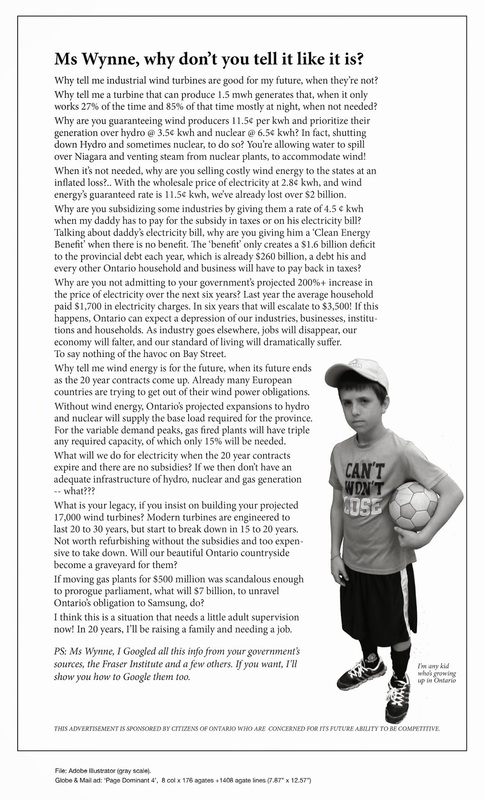 We want elected Officials who think | Mothers Against Wind Turbines Inc. There are many things wrong with wind “turbine” collections, but the overriding one is that they DO NOT WORK. They are supposed to help reduce fossil CO₂ emissions, which the proponents say that they believe is a menace, Which IT IS. But industrial wind cannot eliminate it, and to the extent that the wind blows upon these devices, the savings is not as much as the apparent “emissions free” energy might seem to imply. The reason is that for every MW of wind power you are getting, you had better have a megawatt of “spinning reserve”. Spinning reserve is what an under-loaded generator can be expected able to supply at a few seconds notice, and in phase with the rest of the grid.